All Y’all Colored Folks Know Each Other in DC! I grew up in the DC area. I certainly know of the various high level people from the News, run into Congressmen and Senators on the street, and have even met with some in business matters. DC, like almost any Urban area has cliques. There is nothing some black folks love more than setting up, or being a part of an “exclusive” group, which – pretty much like the Emmy’s and Academy Awards…They get to pat themselves on the back telling each other how great they are. I have never attended a CBC Cabaret, and generally, unless roped into it, avoid such throw downs. I do, and have attended major charity events, and political fundraisers for specific politicians…Life in the City. Now, the way things work in this city, is the most powerful clique in the city surrounds the President and Congress. When the President wants to meet with someone in Congress, he tells his staff to make a call. The old “My people will be in contact with your people”.Under most circumstances the underlings coordinate schedules, set up time and place, and mark calendars – with the unwritten understanding that said invited Congressmen and Senators will make room on heir schedules to resolve conflicts. Asking a reporter from a news organization is out of line. Not only that, but it is an insult to the CBC, in that somehow they don’t belong in the group of other Congressmen and Senators at the President’s beck and call – and thus need to be treated as an outside organization. The racial implications of that are equally horrendous in that it goes back to the old “All y’all look alike” racist syndrome. 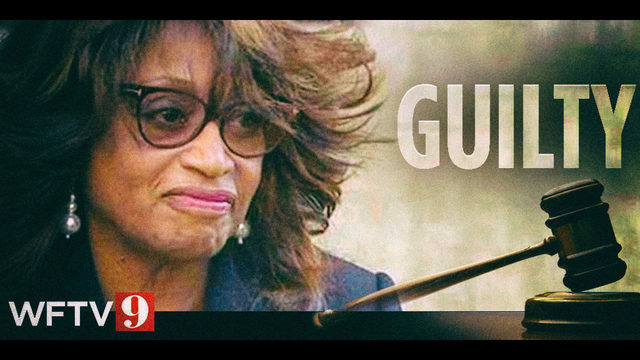 Is the Congressional Black Caucus Finally “Getting It”? Perhaps the CBC is belatedly growing a spine. 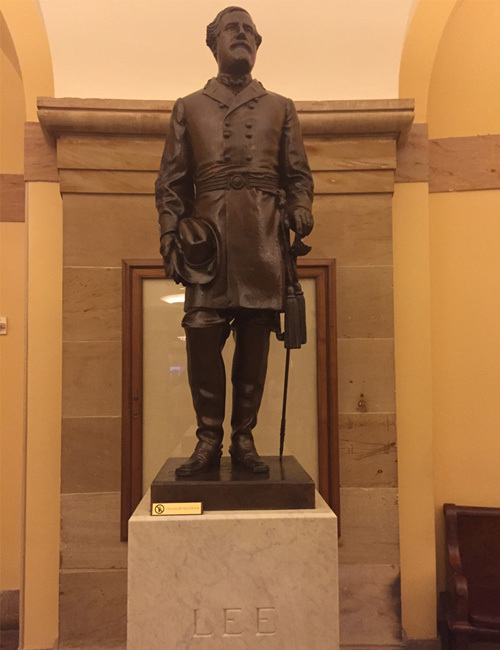 Perhaps they should remove some of these confederate pictures and statues which hand in the Capitol? 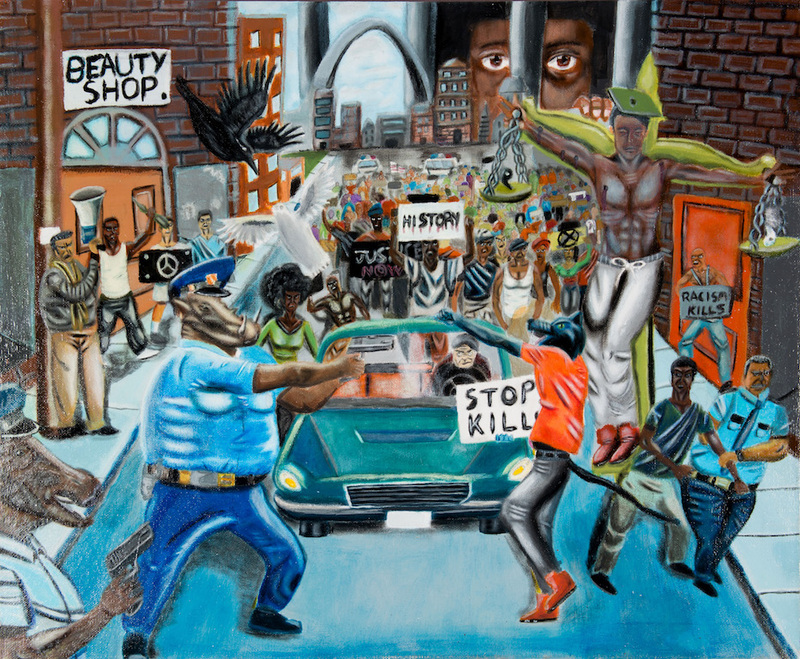 A young Missouri student’s painting of civil unrest has sparked a proxy battle among lawmakers in the halls of the U.S. Capitol, between black Democrats concerned about what they call a legacy of unjust policing and several white Republicans who are defending law enforcement. 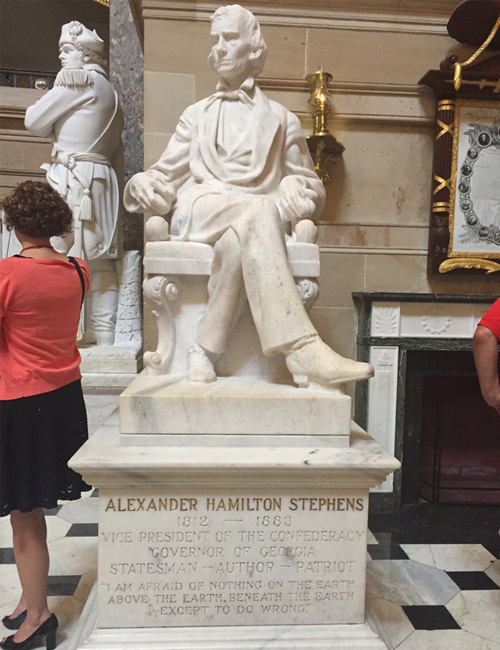 The tiff spiraled out of control Tuesday, with House Republicans acting on two separate occasions to pull the artwork down from a tunnel in the Capitol complex, after it was rehung by Rep. William Lacy Clay (D-Mo. 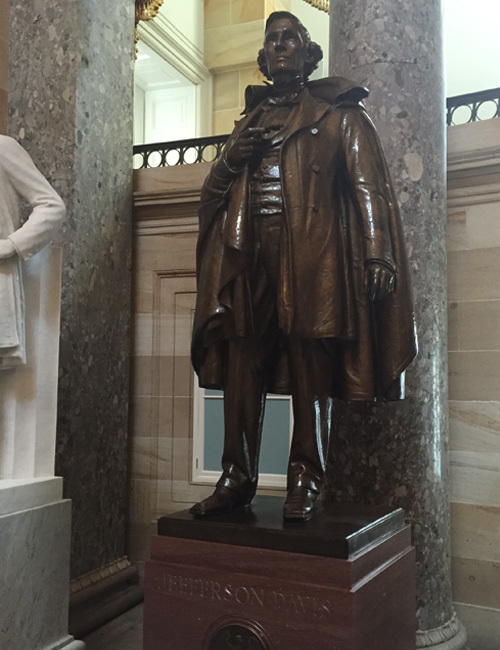 ), whose young constituent painted it. The painting, by recent high school graduate David Pulphus, depicts a scene inspired by the 2014 events in Ferguson, and other recent protests against police led by African Americans. Several figures are depicted as animals, and some pro-police activists have said the rendering evokes derogatory images of police as pigs. 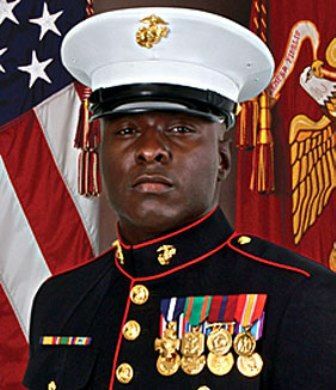 Clay appeared in the tunnel with fellow members of the Congressional Black Caucus on Tuesday morning to rehang the painting after it had first been removed Friday by Rep. Duncan D. Hunter (R-Calif.) — who took it down, in a spokesman’s words, to “make a statement” about his support for law enforcement and delivered it to Clay’s office. For more than two years, the national debate about the policing in African American communities has largely bypassed Capitol Hill, which has been under the control of Republican lawmakers wary of wading into the controversy. Rather, it took an 18-year-old’s painting to unleash lawmakers’ passions. 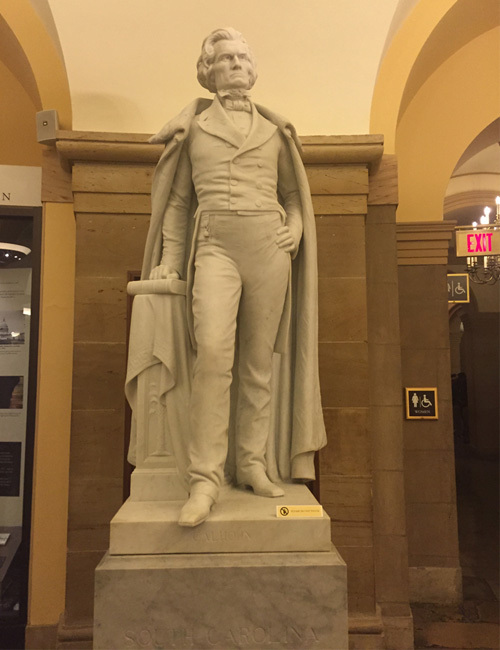 Clay and others defended Pulphus’s right to free expression, and to have his views represented on the walls of the U.S. Capitol — a building, they pointed out, that contains numerous statues of Confederate leaders and other racist historical figures. Several law enforcement groups have called for the painting’s removal, and they have gotten backing from several Republican lawmakers. Rep. Dave Reichert (R-Wash.), a former county sheriff, called it “disheartening to see this depiction of law enforcement hanging in the hallway of our nation’s Capitol” and has taken a leading role in urging House leaders to take the painting down. But it was Hunter’s decision to take matters into his own hands that has turned matters into a full-blown media spectacle. After Clay rehung the painting Tuesday, Rep. Doug Lamborn (R-Colo.) took it down and, like Hunter, returned it to Clay’s office. Clay once again rehung the painting, but later in the afternoon, Reps. Brian Babin (R-Texas) and Dana Rohrabacher (R-Calif.) again removed it. Silent through all of this has been House Speaker Paul D. Ryan (R-Wis.), who said at a news conference last week that he was not familiar with the painting. A spokeswoman did not respond to a request for comment on whether Ryan considered it appropriate for members to personally remove works of art from the Capitol walls. 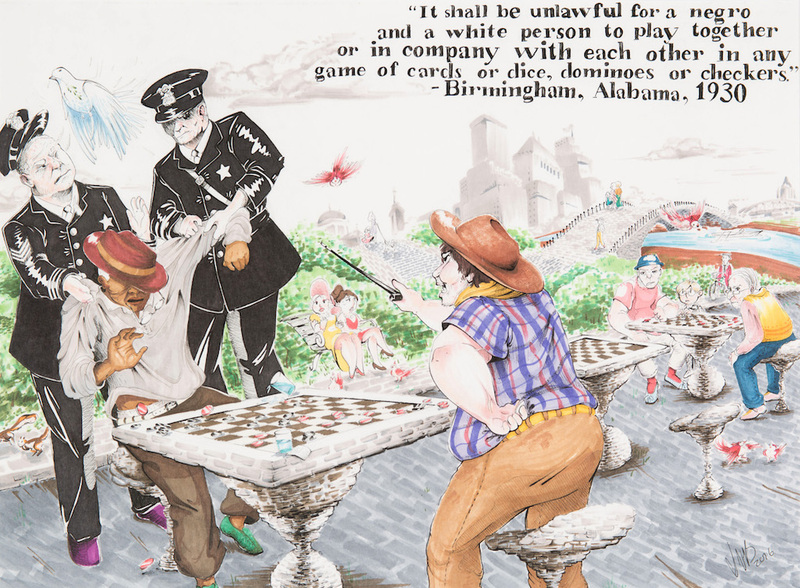 Notably, another winner of the competition — by a Georgia teen — depicts two white police officers of another era harassing a black person playing checkers. 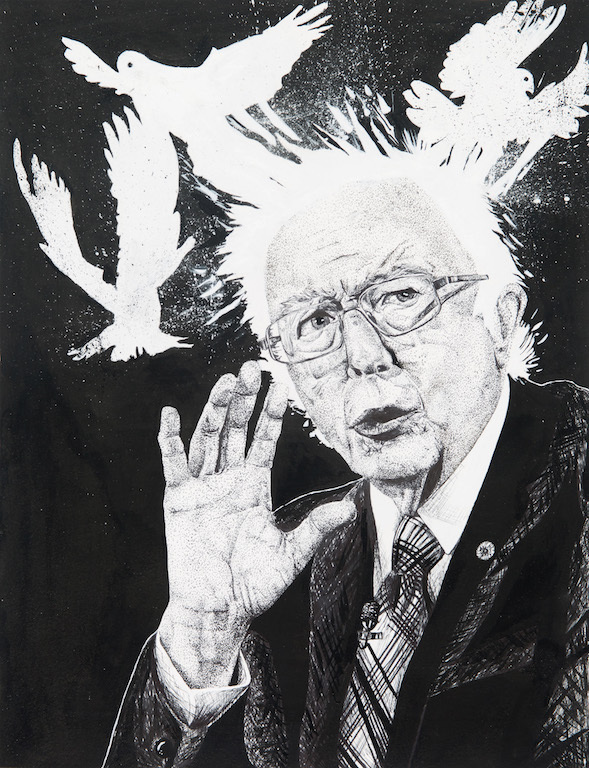 Another piece, by an Arizona teen, has an undeniably contemporary subject: It’s a portrait of Sen. Bernie Sanders (I-Vt.).